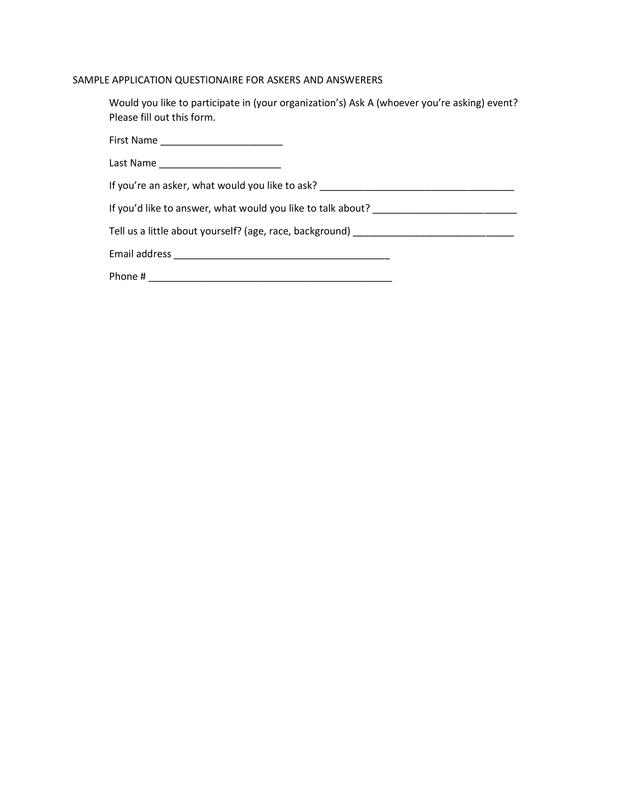 Would you like to participate in (your organization’s) ‘Ask A (whomever you’re asking)’ event? If you’re an asker, what would you like to ask? If you’d like to answer, what you like to talk about? You can save copy of this questionaire below.